Bring your reading logs to life! 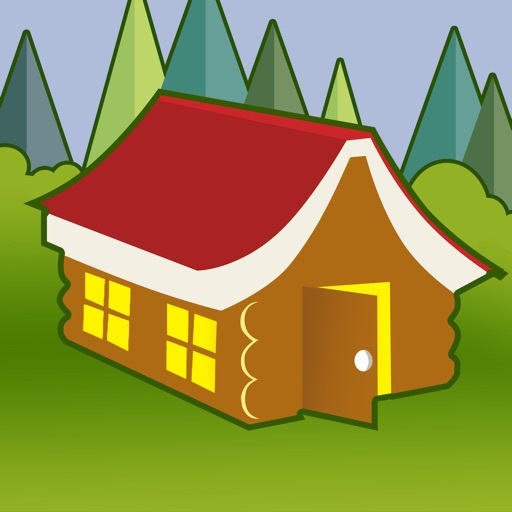 Designed with teachers, students and parents in mind, the Reading Log Cabin is an innovative and inclusive reading log app created to benefit all students. 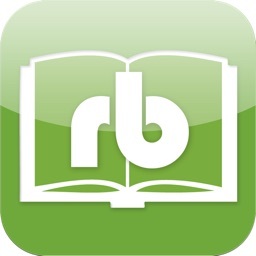 There is no other reading log app available that can compare! 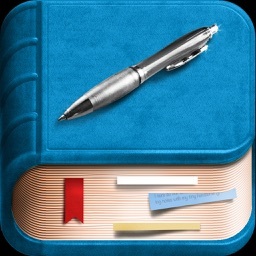 Each reading log is designed uniquely by you. Start by creating custom reading logs. To do this you must choose a title for your log, the cover photo (optional) and the Details. There are 16 categories to choose from. 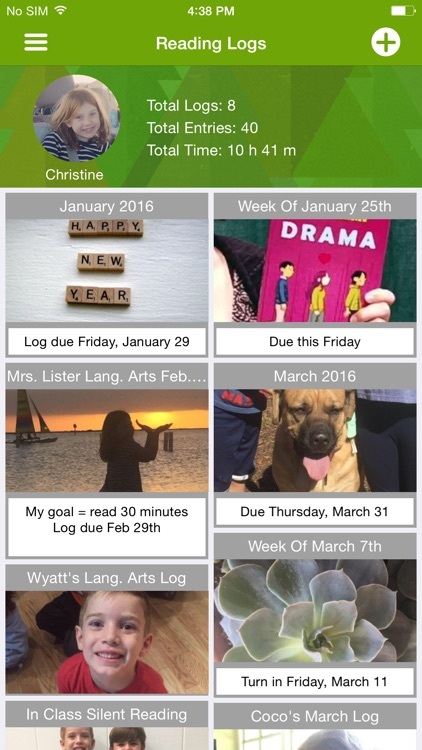 Select the details your teacher requires and let the Reading Log Cabin organize the information for you. Use the Scan Barcode feature to automatically import this information or manually type it in. Record the genre of the book you read. Record the amount of minutes you read. Record the number of pages you read. Type your comments or use speech-to-text dictation. 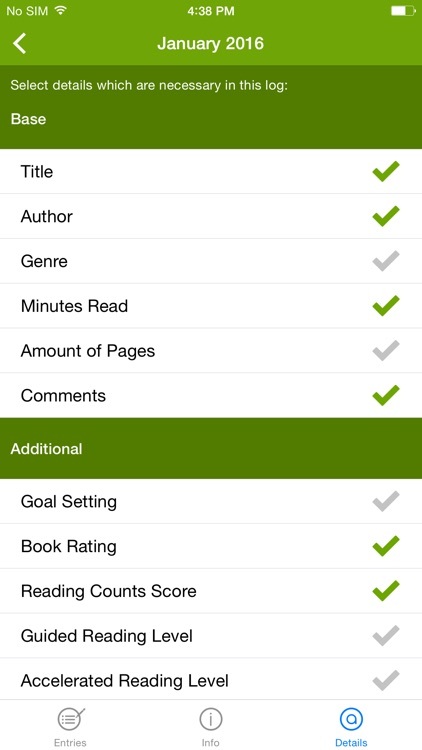 Set your reading goal or record whether or not your goal was met. Review your book based on a scale of 1-10. After taking a Reading Counts quiz, the score can be entered here. Didn’t take the test yet? Just choose “Not Attempted”. Enter the Guided Reading level of the book you read. Enter the Accelerated Reading level of the book you read. 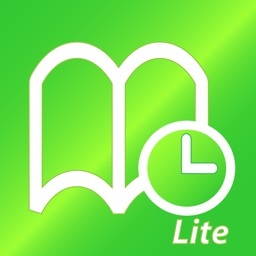 Enter the Lexile level of the book you read. Enter the Developmental Reading Assessment level of the book you read. The four choices are: Someone else read the book to me, I read the book with help, I read the book to someone by myself, and I read the book to myself. Use attachments to demonstrate readers’ abilities to make connections in their reading. 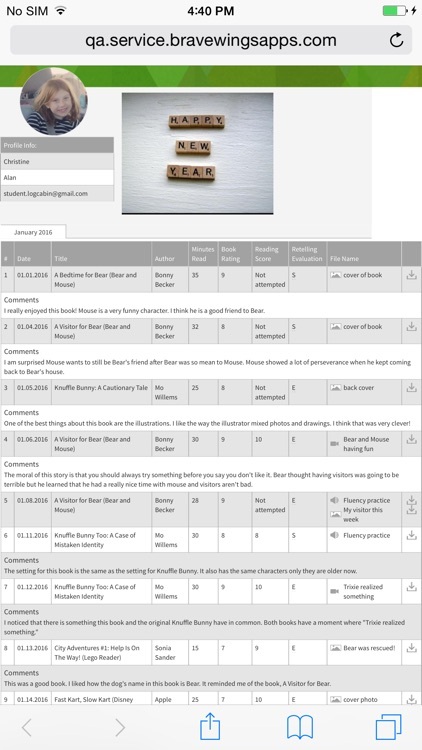 •	Readers can take a picture and upload it to an entry to demonstrate their connection to the text. •	Instead of typed comments, readers can write their comments and upload a picture of their response. 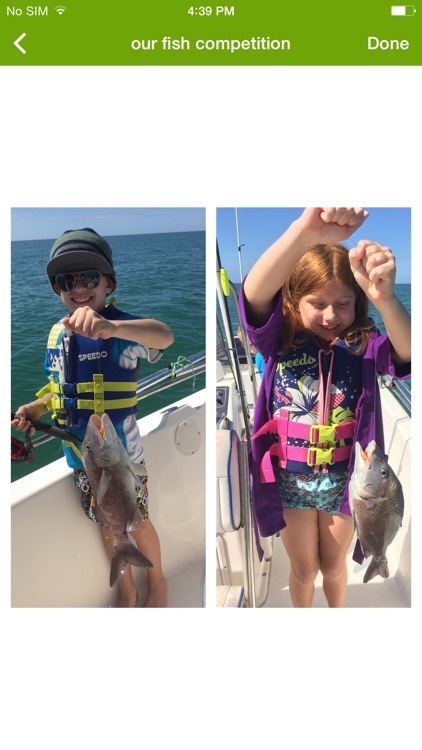 •	Readers can take a picture of something that demonstrates a connection they made while reading. 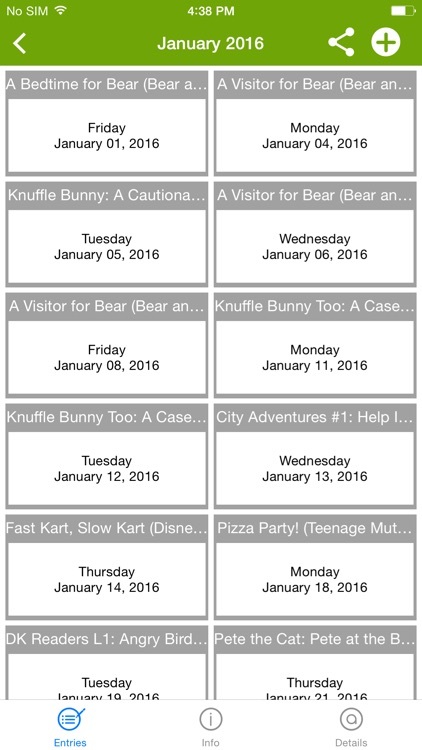 •	Use this feature for Readers Theater! •	A great opportunity for students to create a video book report! •	Instead of typed comments, readers can record a video of their comments. •	Videos can be used to demonstrate connections to their reading. •	Readers can be recorded reading an excerpt of their book and fluency can be assessed. •	Use video in your reading assignments to get creative and encourage student engagement. Students can create their own videos to demonstrate their interpretations of the concepts they have learned in the classroom. 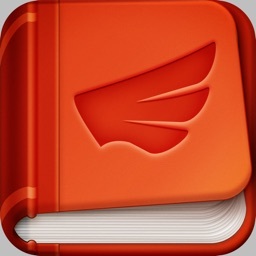 •	Instead of typed comments, readers can record an audio of their comments. •	Fluency can be practiced and assessed with audio recordings. The power of video and audio recordings is that the student can build up a whole collection of recordings that show their development over a period of time. These recordings are ideal to include in an e-portfolio and are excellent for assessment purposes, especially formative assessments. 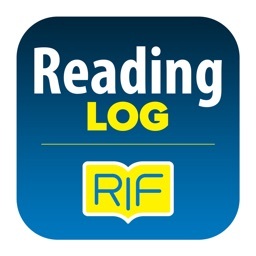 Print, email, SMS text, or share your reading logs via social media. Scan book ISBN bar codes using your device’s camera. Use the Reading Log Cabin to support all the children in your family. You can create one account that all your kids can access or you can create an account for each kid in your family. The choice is yours! To learn more about the Reading Log Cabin please visit our website. You will be glad you did! Engage, Inspire and Be Inspired with the Reading Log Cabin!